Somewhere out in the darkness of eternity, dread Azathoth pulsates and explodes endlessly in blind idiot joy. His emissions scatter across the known universe and beyond, spreading like dandelion seeds of madness. A couple of weeks ago, one of these deranged particles collided with a neuron in Paul’s brain, and he proposed that we do a fanzine. For those too young to remember when people put to paper the kinds of enthusiastic and often rough writings that now litter the internet, this fanzine will be an A5 booklet, filled with line art, hand-pasted layout and breathless prose. We could potentially make something more polished, but somehow that feels like it would be missing the point. Both Paul and Scott worked on fanzines in the 1980s and remember what they should be like! Our plan is to offer this as a reward to our Patreon backers at all levels (higher pledges will get you personal dedications and multiple copies) if we hit $75 per episode. The Blasphemous Tome, as we have named it, will be an annual publication, shipped out with our Christmas cards, and available in print only. It will feature articles about horror roleplaying, fiction and films. We have a range of other ideas which will develop over time: a history of the show; a revisiting of episode themes; pet’s corner; memories of a distant shed; and Scott’s teenage love poems (OK, maybe not that last one — we don’t want to make it too sanity-blasting). The Good Friends will also collaborate on a new scenario published exclusively in the ‘zine. 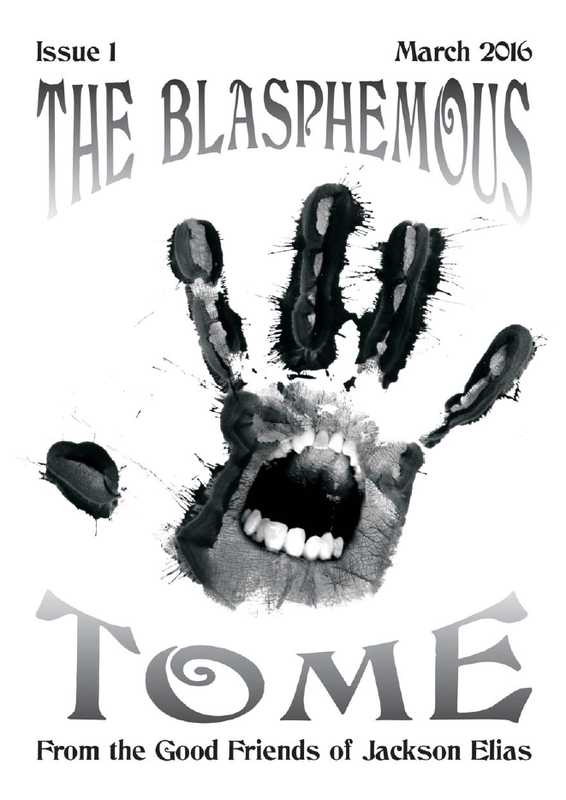 If you have ideas for things you’d like to see in The Blasphemous Tome, please let us know!